The bad habit of biting your nails can actually mess with your smile. Not only will your nails look ragged and tortured, your teeth are being put in a harmful position doing something they are not meant to be doing. Teeth serve a very specific purpose: to help break down food into manageable amounts of fuel that the body requires to function. So why is it that people use their teeth for other purposes? 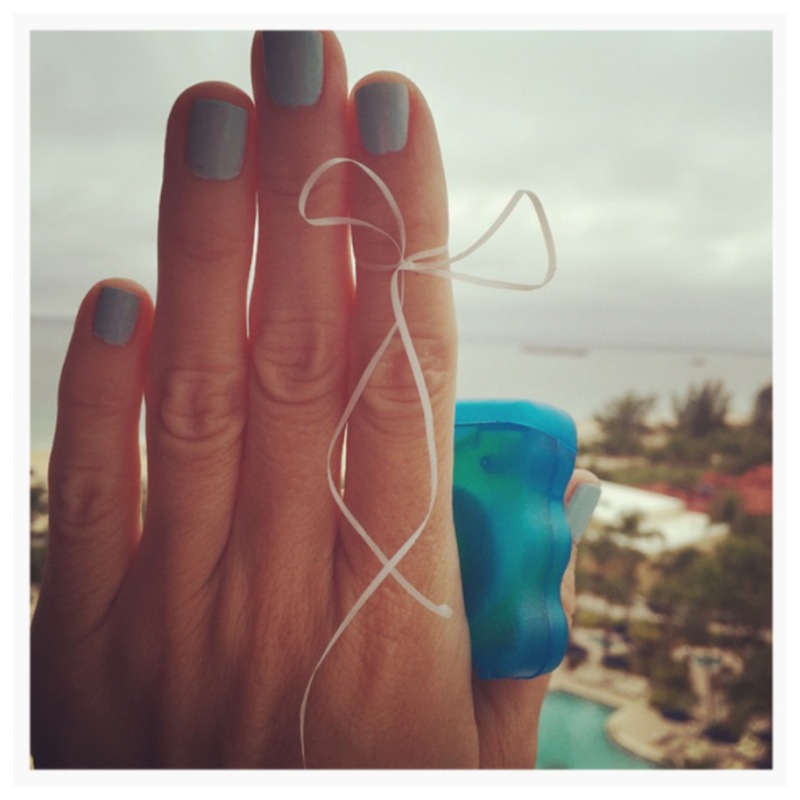 Not only is nail biting an issue, but what about all those times you have tried to pry open a bag of snacks or rip something open with your teeth because you’re too lazy to grab a pair of scissors? It’s time we stop treating our teeth as power tools. For those who bite their nails when nervous, it’s time to find another way to calm yourself and channel that nervous energy into something more productive. Perhaps start treating yourself to manicures in bright, bold colors so that you are less tempted to ruin what you paid for by biting those nicely shaped nails down to the skin. Have you ever seen a guy try to open a beer bottle cap with his teeth? Yup. Pretty frightening. Almost like you can see what is about to happen in your head and you feel his pain. One beer is not worth risking a chipped or broken tooth. Back to nail biting for a moment. Let’s think about another harmful aspect of this not-so-great habit. On any given day, how many things do your hands touch, either purposefully or accidentally? While we all (or at least most of us) wash our hands after using the bathroom and maybe even before we eat meals, there are hundreds of times throughout a typical day where we do not wash our hands after touching something or someone. For all you nail biters out there – do you have any clue how much bacteria from the tips of your fingers is getting in your mouth when you chomp down on your nails? How about all that bacteria hiding underneath your fingernails. Salmonella, anyone? E. coli? No matter how much you wash your hands, there still might be bacteria stuck deep underneath your nails. And that is exactly where your teeth and lips are reaching. Ew. Gross. And potentially very harmful! The buildup of bacteria in your mouth can lead to infection or gum disease. Better to work on breaking a bad habit than risk developing an infectious disease. Am I right? Shifting, misshapen, misaligned, worn down, weak. Not the adjectives we want to use when describing the state of our teeth. However, if you are a chronic nail biter, these characteristics could easily be used when assessing your smile. Proper dental occlusion is key in owning a beautiful smile. Stop by Sugar Fix Dental Loft to have Dr. Jessica T. Emery take a look at how your upper and lower teeth come together upon closing your mouth. She and her team will be able to tell right away if nail biting is interfering with your smile and offer solutions to get you back on track and away from a bad habit.